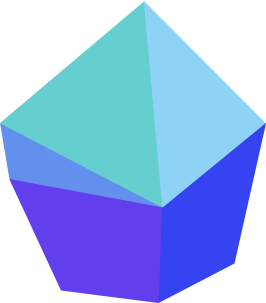 User interface to your database content. Create and edit content using a simple, intuitive interface. Use your data with help of embedded script and REST API. Link your existing MongoDB database with autogenerating a schema. 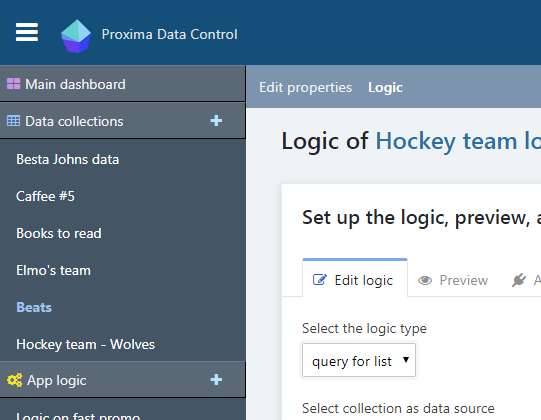 Why use Proxima Data Control? You have existing database but you don't have an interface to edit your data. You don't have any content and you don't want to worry about database and images hosting. You want to be able to create queries using a mouse. 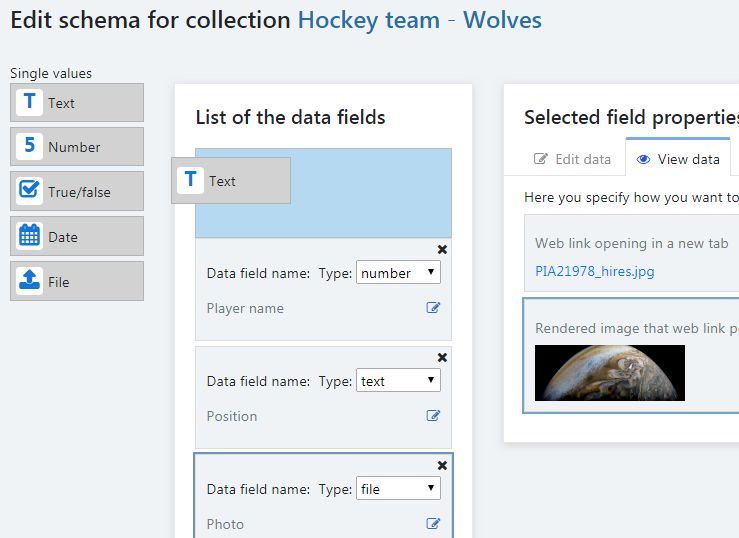 1 You create data collection and a schema for it. Or you link your existing MongoDB database and the system will generate a schema based on your data. 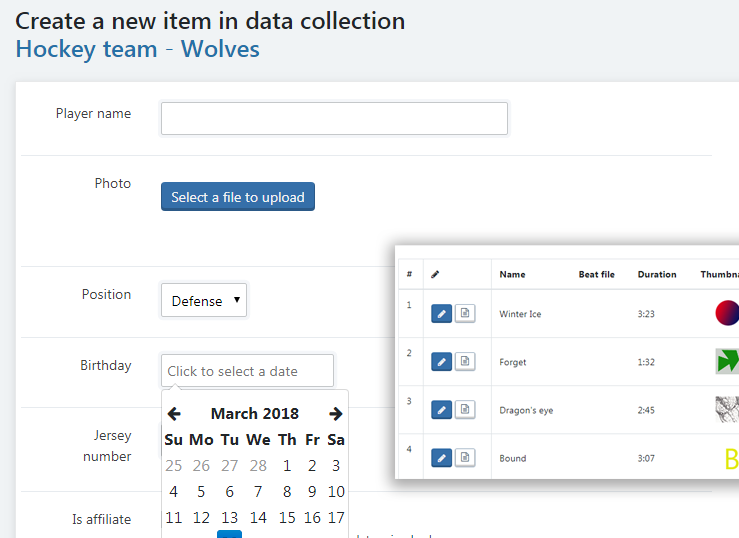 You specify data types (text, number, date, boolean, or file upload) and the way how you want your data to be edited and shown. Almost everything is drag-and-drop. 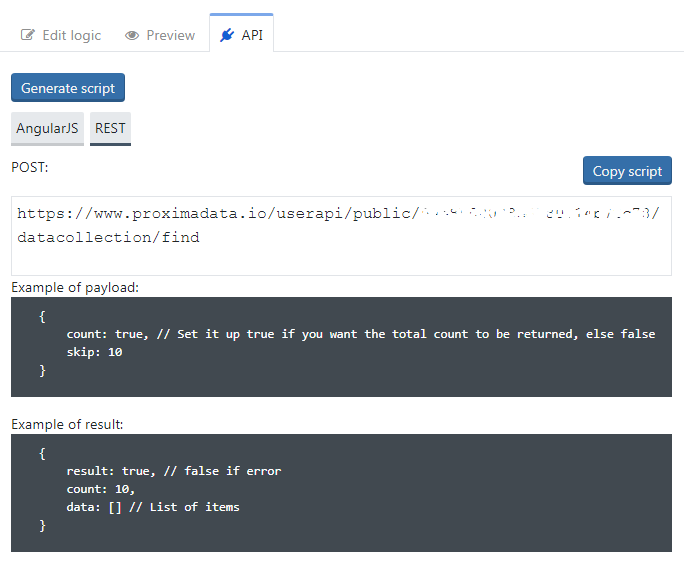 2 The Proxima service automatically generates the user interface to enter and edit your content and the table to see all your data. 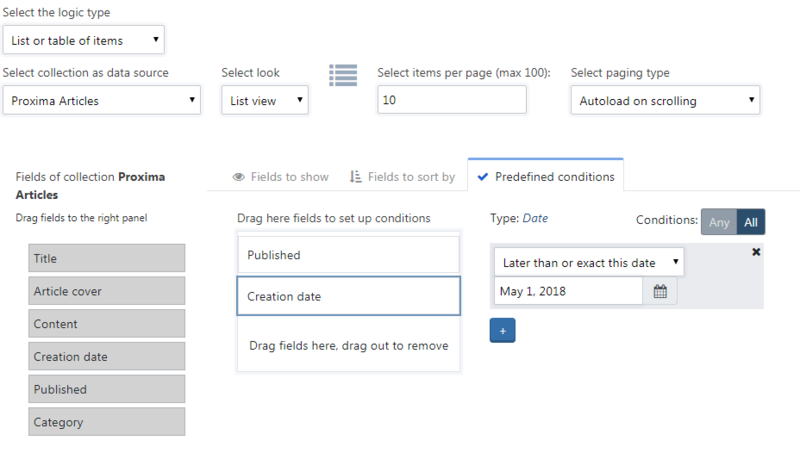 3 You create the App Logic™ and specify fields to be shown and be sorted by as well as filtering to create queries of any complexity. The instant preview will help. 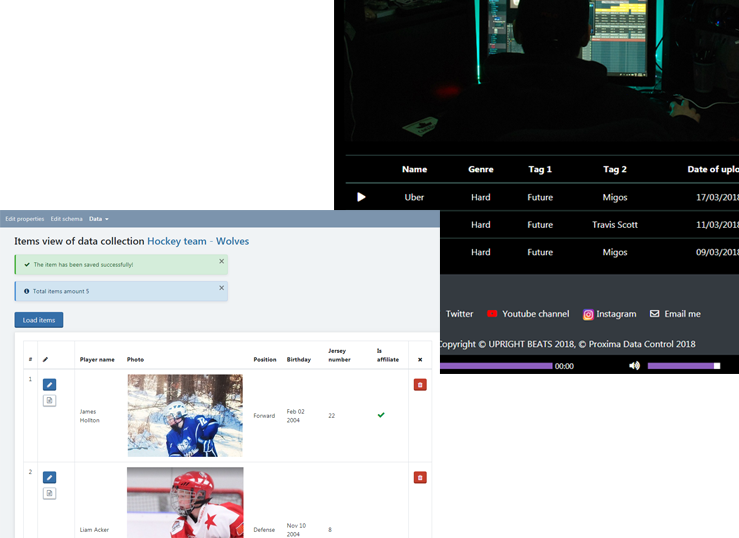 5 Now you have the convenient way to access your content right on the site or you can embed them into your own site (the predefined templates provided) or use REST API. Find working examples here: table content and blog. Thanks to Proxima Data Control I focused on the data instead of having a hassle with the coding. I didn't know that creating a website could be so easy. I was impressed how much work has been done under the hood and I didn't touch much of it. I just worked with my data and site had been updated automatically which saved me tons of time and money. We send announcements about our new features, articles, tutorials, and our journal posts. No spam, we promise.